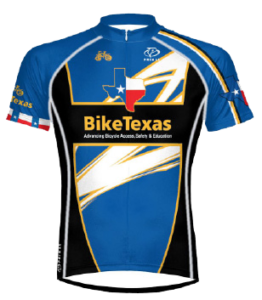 The 2014-2019 Strategic Plan was created with the input of over 1400 BikeTexas members, supporters, sponsors, and potential supporters and partners. “This strategy will help the staff and board ensure the organization is taking action to increase cycling throughout Texas. The fact that our strategy is strong and was created by the community lets us know that what we’re doing is going to succeed with the support of all people who bike across the state,” says Annie Melton, BikeTexas Board Chair. You can read more about the process of developing our strategic plan by clicking here. You can also download a PDF of the plan by clicking here. quality of life. Texas is a national model for innovative bicycle-friendly transportation facilities and programs. We believe in the power of the grassroots cycling community and our ability to drive change through open communication, consistent collaboration, building trust, and engaged public participation. We pursue creative transportation solutions that increase bicycling, walking, and access to public transit to improve the health, vibrancy, and quality of life for all Texans. We are committed to improving access to a complete and efficient multimodal transportation system for all Texans, including those who live in communities and areas that have been historically underserved. 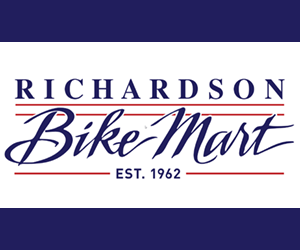 We are passionate about increasing the number of people who bicycle safely, confidently, and knowledgeably. We are committed to engaging all people who bike, and we partner with diverse groups for effective change. Develop alliances with local and national cycling organizations to increase grassroots membership. Establish a system to measure mode share in the state and double the bicycle mode share in Texas cities. Pass local ordinances such as Complete Streets and Safe Passing. Collaborate with other state and national organizations to influence and support federal bicycle-related legislation and policy. By 2019, we will develop an advocacy presence in every Texas Congressional district. Work with fellow southern state advocacy organizations to nurture the most effective strategies to advance cycling in politically conservative states. professionals, law enforcement, and planners. Grow excitement and enthusiasm resulting in increased acceptance of bicycling as a mode of transportation.